Christmas in Abundance: A Novella (The Abundance Series) - Kindle edition by Sally Bayless. Religion & Spirituality Kindle eBooks @ Amazon.com. An art teacher avoiding Christmas. A single dad planning a holiday light show extravaganza. A yuletide clash between neighbors that might spark a dazzling romance. Lanie Phillips has a quiet holiday planned. So quiet, in fact, that the only sounds in the house where she&apos;s staying should be the clicks of her computer keyboard and the occasional bark from a chocolate Labrador retriever. No joyous choirs of angels, no jolly laughs from Santa, and no jingle bells--nothing to distract her from her master&apos;s thesis or bring up painful Christmas memories. But for the single dad who&apos;s her closest neighbor, simple holiday decorations just won&apos;t do. Kyle Mattox is determined to give his five-year-old daughter the best Christmas ever--one that includes an outdoor display lit with fifty thousand lights, activated in time to music shared through four giant loudspeakers. When Lanie comes to complain that she can&apos;t write with the lights flashing and carols blasting, Kyle realizes that--unknown to her--their circuits have crossed in the past. If he wants his daughter happy, he needs to keep that information to himself, keep the show running, and keep his distance from Lanie. "Christmas in Abundance" is a contemporary Christian romance novella and is a companion story to the Abundance Series by Sally Bayless. It is a stand-alone book and is written to fit well at any point in the series. If you like touching, wholesome romance, compelling characters, and a dash of humor, you&apos;ll love this sweet Christmas novella. Buy "Christmas in Abundance" to start this heartwarming inspirational romance today! Sally Bayless was born and raised in the Missouri Ozarks and now lives in the beautiful hills of Appalachian Ohio with her husband and two teenage children. 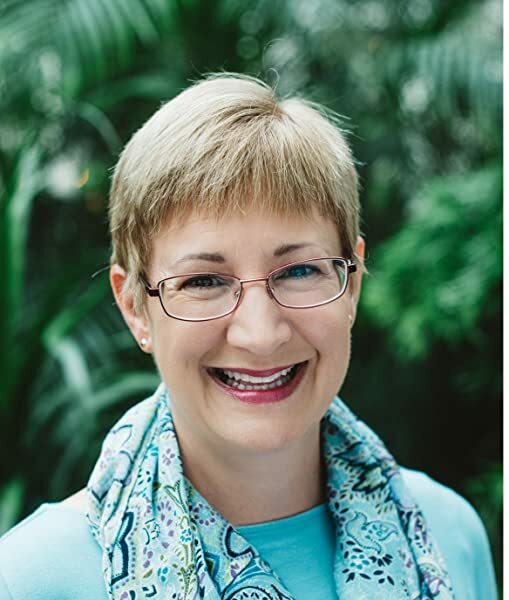 When not working on her next book, she enjoys watching BBC television with her husband, doing Bible studies, swimming, baking, and shopping for cute shoes. Christmas in Abundance is the story of two people who have been deeply wounded by others who once professed to love them until death parted them. Lanie was practically left at the altar weeks before her wedding, Kyle is divorced with a lovely little daughter whose mother seemed quite content to leave behind along with her husband in the search for… something else. They share connections beyond broken, wounded hearts though… connections that Kyle is aware of but Lanie is not, and the guilt will eat away at Kyle over his actions in the past. For now though, Lanie has a thesis to be written, one that for various reasons needs to be completed… yesterday. And Kyle is keeping up the tradition of a neighborhood Christmas Lights Extravaganza, right next door to the small house Lanie is pet sitting at. Neither is really willing to see the other’s side of the situation, but they can agree on one thing – April’s happiness comes above absolutely everything else going on between them. Although I have not yet read the rest of the Abundance series (an oversight that will be dealt with in the coming year’s reading list), I wasn’t the least bit lost with Lanie and Kyle’s story. Any people or events that I needed to know for their story were easily and quickly explained through narrative or dialogue. 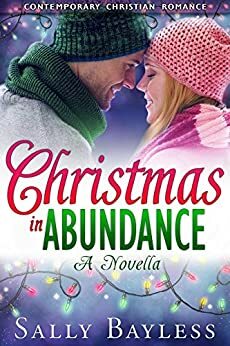 Christmas in Abundance is a very enjoyable romance that will touch your heart, leave behind some good feelings and more than a few chuckles. I enjoyed my time in this world very much. I own a Kindle edition of this story. 5.0 out of 5 starsKept me on the edge of my seat! What a sweet romance! It's almost like a 2nd chance due to the history between Lanie & Kyle, but since they didn't have any romance the first time their paths crossed....it isn't. Considering their history the fact that there is any romance at all is surprising. I loved the way Sally Bayless let the story unfold. Just bits and pieces of the past tied into the story as needed. So we only learned the whole story towards the end. 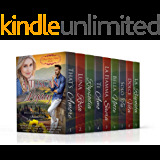 It built up the climax and left the reader on the edge of their seats wondering just how this story would end; both for the couple and Lanie's soul. Sometimes the path we are on seems to be the right one until that second when a huge wrench gets thrown into our way! Then even if we fight to stay the course events will continue to unravel that force us to reevaluate where we are headed. I highly recommend this book to anyone who likes romance. Any specific genre! Lanie Phillips agreed to dog sit for her boss, because she was promised a quiet place to finish her thesis. With a neighbor determined to show his motherless daughter the best Christmas ever, including thousands of lights and blaring music, it turns out to be anything but peaceful. On top of that, her deadlines are moved up, and then the five-year old needs her to make angel wings for a church Christmas play, the dad has an accident, and Lanie is struggling with her attraction to both the child and the dad. Could this Christmas get any more hectic or confusing? This well-written story was a welcomed change from some of the shallow Christmas novellas I had been reading. I would have preferred the pronouns for God be capitalized, but I enjoyed the book, which had a wonderful ending. Great book! Lanie doesn’t enjoy Christmas since her fiancé broke their engagement six years ago in December. She’s on a deadline for submitting her thesis when her boss asked her to dog-sit her very pregnant Golden Retriever, Jellybean. Unknown to Lanie, there’s a very loud drive through Christmas music display on her boss’s property! Kyle is a single dad to six year old April and just moved into his aunt’s guesthouse. With his aunt and uncle out of town, he’s in charge of the Christmas drive through music and light show. Kyle & Lanie clash when she can’t concentrate on writing with all the noise! When’s the best time to tell Lanie that he caused her engagement breakup? This is a great story and I’ll be reading more of Sally Bayless’ books! Torn between a three and a four so rounded up. For a novella, story had a complete plot which I appreciate. A little different than some of the other Christmas romances with the light show “dispute”. I really liked Kyle and his daughter, what a cute pair, very endearing. I found Lainie to be the problem and why I had trouble rating it. She seemed a bit immature to me, like a high schooler, rather than a teacher working on her masters. It was hard to like her sometimes. And like most novellas, the “I love you’s” come annoyingly fast after very little time knowing each other. Lanie plans for a quiet Christmas by herself to finish her thesis, to get her master degree. Puppies to come soon so was asked to pet sit. Neighbor who goes all out for Christmas, with lights, speakers for his 5 year old girl. Her plans have to be changed but where to go, they keep bumping into each other. Stories of Christmas, finding love are always enjoyable. 5.0 out of 5 starsAbundance Warms the Heart! This book really will hit home for any single parent. You will go to any lengths for your child. This story is about a single father starting over. A single woman just trying to get her masters degree. Both drawn together by his bubbly little girl. This book is fun, sweet and will make you realize how easy to lose sight of what's important! I love this book and I'm sure you can't help but love it too! 4.0 out of 5 starsWonderful story! Secrets are not always a bad thing. Sometimes things that hurt you the worst are the things that helped you the most! Wonderful story of three people creating a family out of the chaos of life.